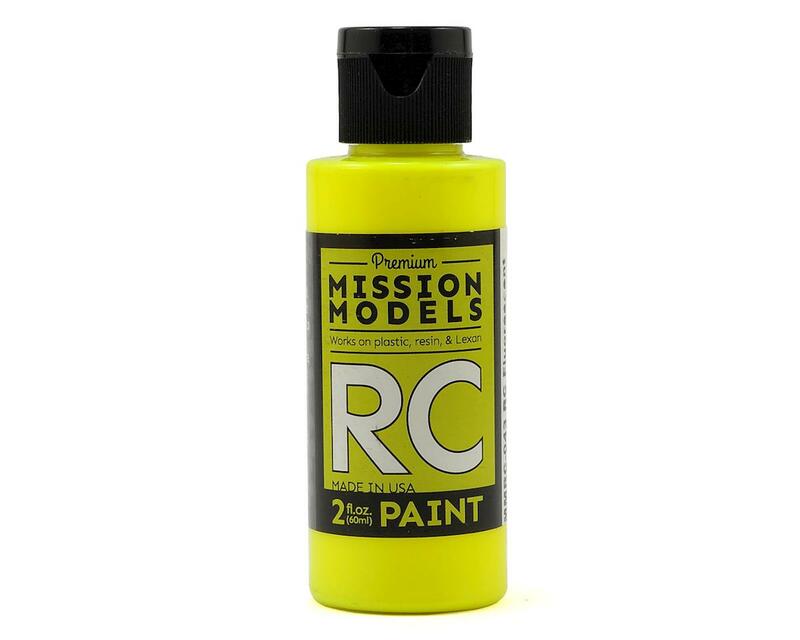 Mission Models Fluorescent Acrylic Lexan Body Paint is perfect for clear lexan RC car bodies, but can also be used on resin and plastic models. Mission paints are triple-pigmented for maximum opacity, and will not fade over time. The paint can be reduced using and can be airbrushed straight from the bottle at 10-15 psi.